The service offered wasn’t capable of producing value. The client/customer/receiver of the service was unprepared or unable to implement. The value the service did provide was measured against an impossible standard set in the sales process. The value wasn’t measurable or easily communicable. No, the book didn’t specifically refer to PPC or SEO engagements, but think about it: doesn’t this sound about right? Especially for those of us who have worked in an agency environment, how often have we come up against clients who are unable to implement, unrealistic expectations made by the sales team, or *gulp*, difficulty in measurement of communication of value? Are Our Crafts Capable Of Producing Value? There is no doubt about it, even as competition continues to rise and even as some competitors choose to cheat: paid and natural search provide both tangible value (revenue/ROI) and secondary benefits (brand impressions, presence, high-funnel awareness) to our clients or companies. In most cases, certain segments of the efforts will always fail to create value. Office Depot running paid search ads for paper clips will always be ROI-negative, unless paper clips start costing $50 a pack. But how is this different from any other channel or effort? Have you ever seen the Goodyear blimp running light board ads over the Mojave Desert? No. Channels/efforts are not what ROI comes from. ROI comes from the smart management of that effort. Are Our Clients/Companies Incapable Of Implementing? This is a major problem for people in this field. And while it may feel like it’s a much bigger problem for SEOs than it is for paid media managers (because paid media can happen off-site), it’s a huge problem for both. 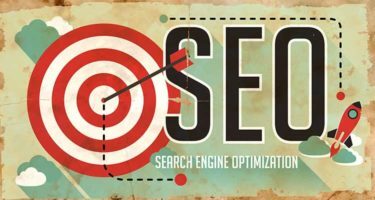 Remember that even though the efforts that go into both paid media and SEO are geared toward traffic generation, the ultimate decider of ROI for each visitor is dictated by the web site. If the web site can’t turn a visitor into a customer, success further up the chain is irrelevant (similarly, if the value of that customer is low, like the paper clips, above, it’s also difficult, no matter how good your site is). To effectively increase the value of both paid media and SEO, it’s imperative that our clients/companies are prepared to learn from the traffic they receive and modify the actual engine of conversion – the web site. Optimizing media or trying to rank for new things without overhauling the engine is just dancing around the fire, not making the fire hotter. So, this will probably be the #1 barrier to success, but through expectations-setting and discussing the work that went into (and the benefit of) successful engagements you’ve had in the past, it can be overcome. Can We Create The Utopian Value Our Sales Team Promises? Your sales team / internal stakeholder is probably underestimating the value of vanilla, which is why they are pouring sprinkles, hot fudge, whipped cream and cherries all over your offering. An oversell is usually a result of an insecurity about #1, whether your offering will create value. Look at some case studies where the vanilla offering worked. What was the outcome? Are the sprinkles really necessary? Is Our Value Measurable & Communicable? If you think the answer to this is, “no,” or, “It’s difficult,” you should spend some time on your company’s TV or print campaign. It is true that our value can be hard to articulate, especially when we’re talking about the intangibles in higher funnel positions or in awareness-building. It can also be hard to measure. But that’s only relative to things that are incredibly easy to measure in digital; compared to other efforts your company undertakes, this is a cinch. Remember that your business is probably already used to having to wrangle tough concepts or buy media on minimal data. Make every effort to tell a story about how your media influences people. Write a narrative. Make it something people can wrap their minds around. We tend to tell our stories in spreadsheets. I’ve never read a compelling spreadsheet that made me appreciate exactly how, in a qualitative sense, people engage with me. And while it’s true that we can look at the quantitative figures of how people engage with us, it’s lazy to think that there isn’t a more qualitative story happening above those numbers. Once you understand how (not just that) people react to your messaging, how (not that) they arrive and experience your offering, and how (not that) they buy or don’t buy, you can take steps to improve each step. The qualitative is what tells you how to improve, allows you to tell the story, and allows you to talk about the decisions you made along the way. And decisions (why and how you make them) are what make you valuable. The biggest barrier to your success will be inaction. Focus your efforts on that to ensure you have something to measure and talk about in the first place. Once you’re good there, make sure you’re telling a story that helps people appreciate the why [it happened] on top of the what [happened], and it will lead you to a continually rising level of measurable and communicable success that exceeds expectations.